When the first generation of KRK RP10-3's landed a few years ago, we were blown away by how a 3-way monitor changes the dynamics of your mix.. When the first generation of KRK RP10-3's landed a few years ago, we were blown away by how a 3-way monitor changes the dynamics of your mix. The 4th Generation RP10-3 takes it to another level, courtesy of on-board LCD Display, Room Correction and a scientifically developed speaker enclosure. Since it's introduction the RP10 has been considered the go-to 10" Studio Monitor for countless music producers, beatmakers and large-room mix engineers. They love the deep, warm bass response and wider sweet spot offered by a 3-way monitor solution. Fluid mechanics fully tuned to the entire system resulting in consistent air pressure behavior at any volume creates an unprecedentedly wide, deep and dynamic listening 'sweet-spot' with incredible imaging and 3D soundstage. KRK RP10-3 G4 now features a Combi XLR / 1/4" Jack - a much cleaner, simplified audio connection from your mixing desk, audio interface, Smartphone, Tablet, PC or Mac. For a quarter of a century KRK have been the professional's choice for mixing and mastering hit records around the globe. KRK's ROKIT studio monitors have been the most popular choice for accurate monitoring, selling over one million units. 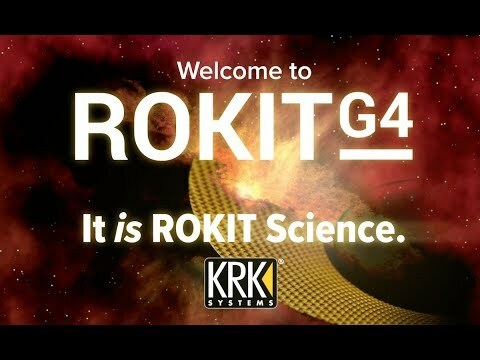 With the introduction of the new ROKIT G4 and ROKIT 10-3, KRK complements the pre-existing Generation 3 line up and expands the legacy of performance ROKIT's have become known for.